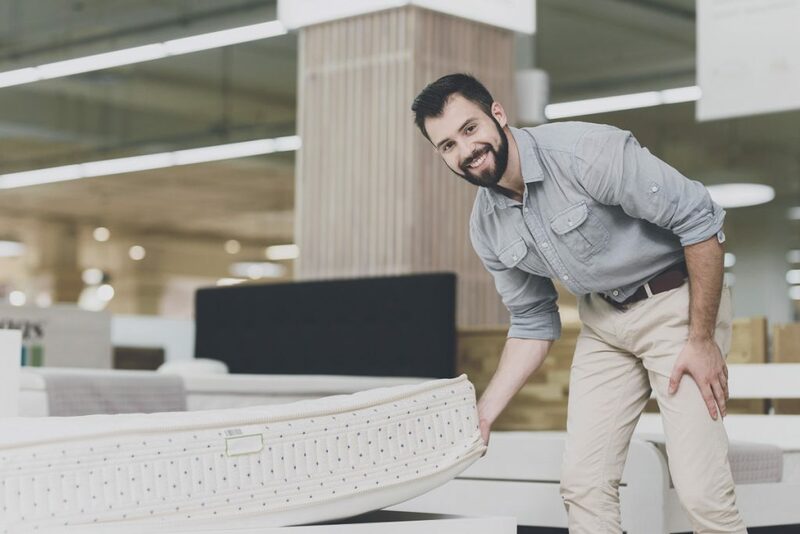 When you go to the mattress stores in Orange County for a replacement for your old lumpy mattress, you should know that the three types of mattresses that you are most likely to find are memory foam varieties, innerspring, and hybrids. Innerspring mattresses are thought of as more traditional, while memory foam is a more recent arrival. It seems, though, that more people are becoming interested in the charms of hybrid mattresses. If we look a little closer at what a hybrid provides, it might convince you that your next mattress should be of this variety. When you look at hybrids in the Orange County mattress stores, what you are getting is a 50/50 ratio of memory foam and individually wrapped coils. This brings both support and muscle contouring to the equation. It is the coils from which the support is coming, and that’s going to be needed regardless of your height or weight. Every body type needs support if you are to be well rested each night and ready to tackle the challenges of your day. Meanwhile, it is the memory foam and gel foam that will conform to your posture as it regulates your body temperature. This is handy if you’re one of those people who “sleep hot,” waking up during the night to kick off the blankets. Cotton fabrics are added to protect the bed, and overall you’re getting the best of both the innerspring mattress and the memory foam option. There are also some companies that will allow you to personalize the mixture of memory foam, gel foam, and coils if the standard version that they are offering is not ideal for you. Orange County residents should also expect to find hybrid mattress covers at the mattress store that will perfectly complement your new purchase. They are generally more elastic than ones you’ll encounter for the other varieties, so as not to interfere with the conforming benefits of the memory foam. Some of these covers also feature foam encasements that are made from special high-density foam. This is meant to support the edges of the mattress. You can see why hybrids appeal to so many people. You get the traditional support of the coils and the new-age technology of the memory foam for more comfort than was possible a couple of decades ago. Mattresses in Orange County have evolved, and there is no longer a need to toss and turn all night. Head to the mattress stores and look into the different hybrid options available today.